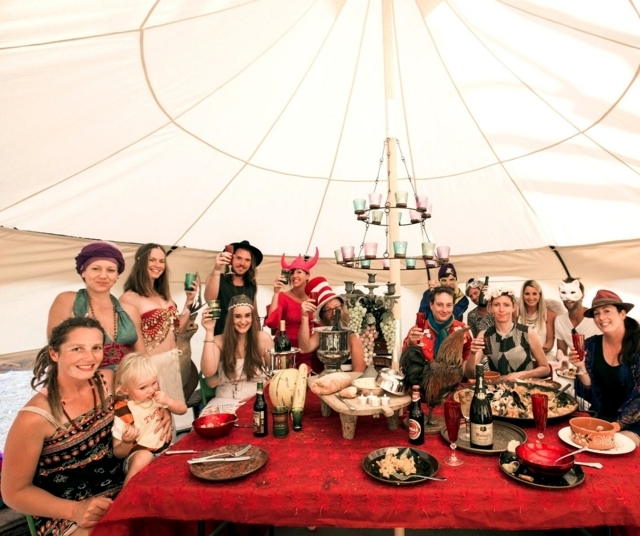 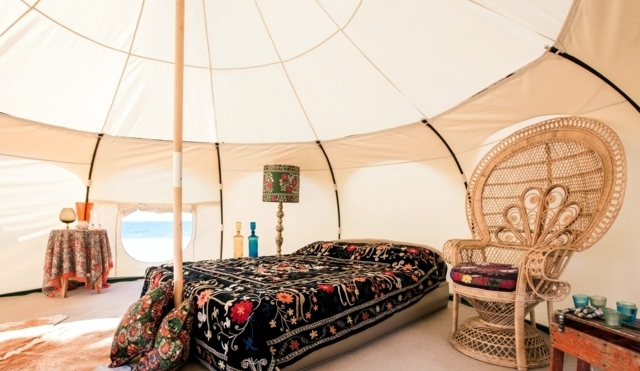 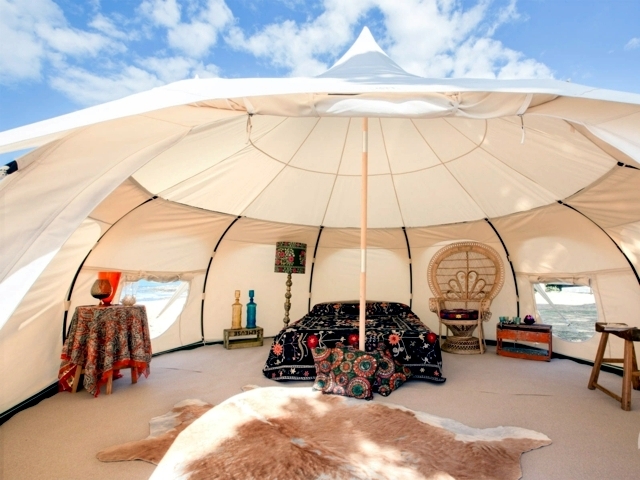 Home > Interior Design > Glamping tent camping holiday of pure luxury! 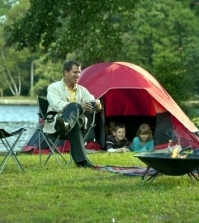 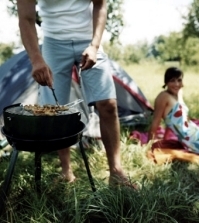 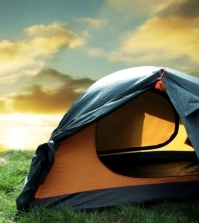 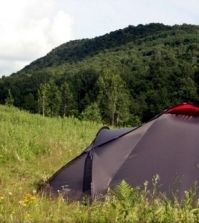 Luxury you get used quickly - and who would not like to spend their holidays camping in a nice warm? 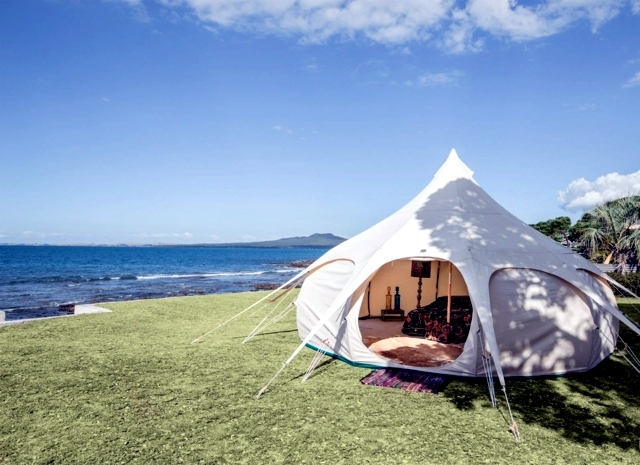 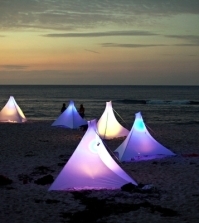 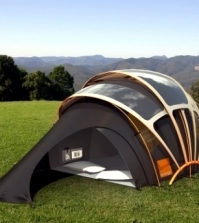 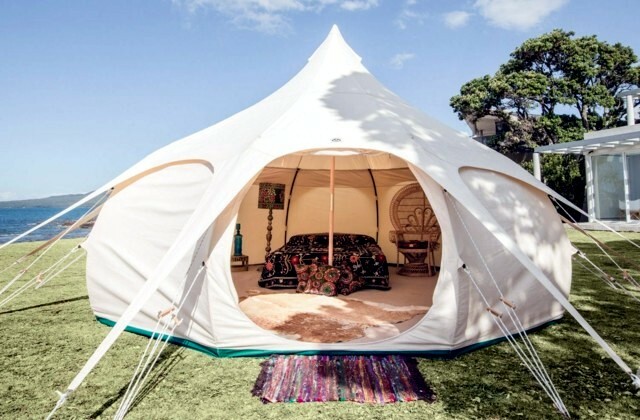 The new tent Glamping Beautiful Lotus offers this possibility - it is made ​​of fine linen hand, has a diameter of 5 meters and offers ample space for all your friends and family. 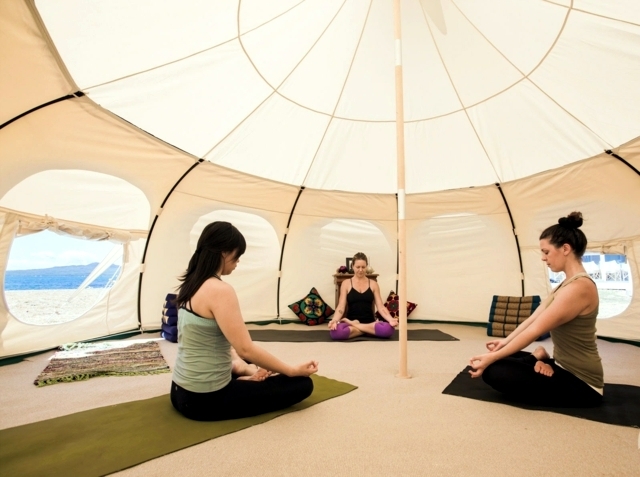 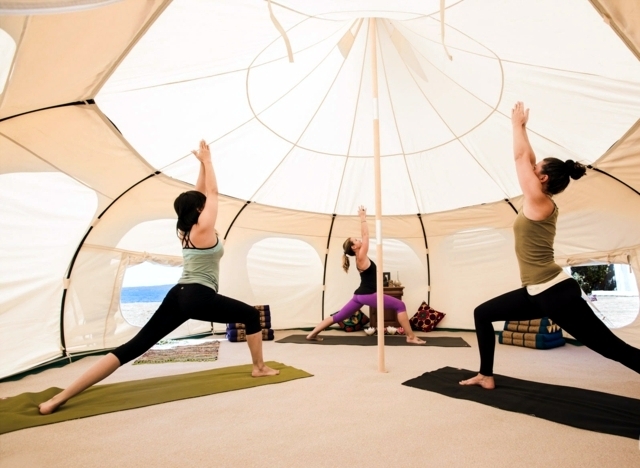 The beautiful Lotus Glamping tent is extremely easy to clean and if implemented, it takes up little space - you can even fit in the trunk of a small car. 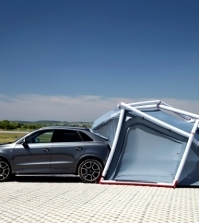 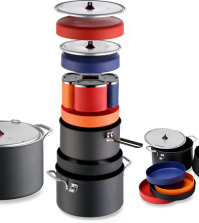 The structure is not complicated and can be done in less than 20 minutes by one person. 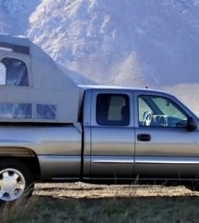 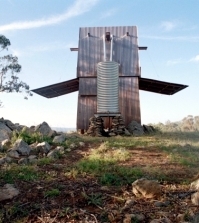 E 'equipped with all the accessories - bed nets to protect against insects, several large air vents allow, upon request, a heating system to be mounted. 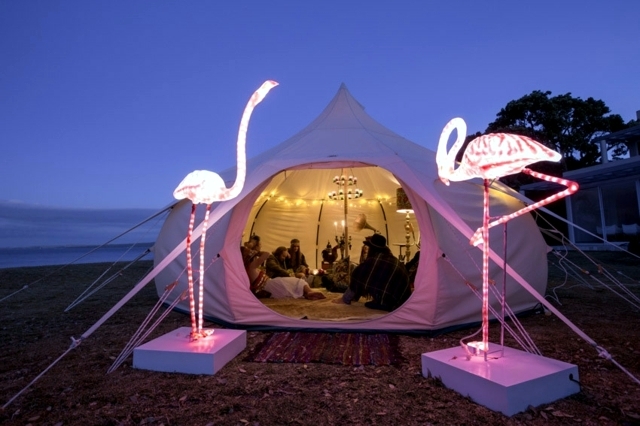 The possibilities are virtually endless - both in the reception tent for a family celebration or company handy, or a guest house in the summer months - and why not as a wedding tent! 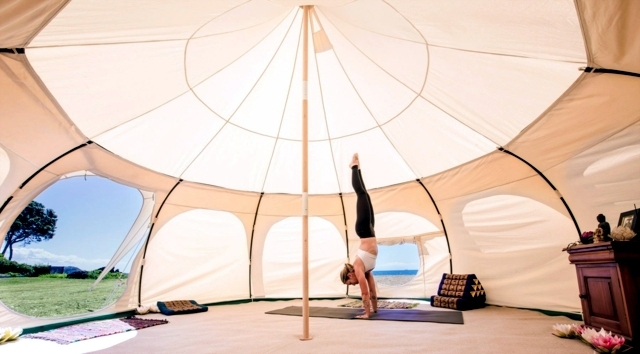 Practical and functional, Beautiful Lotus can also be used as a yoga studio. 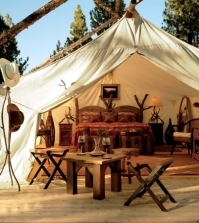 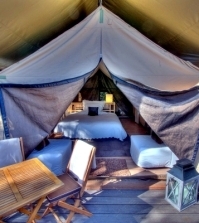 Or, why not, you can travel the world and enjoy life Glamping.